Below our Overview of what to expect will be our color reports for 2018 Fall Color Season. 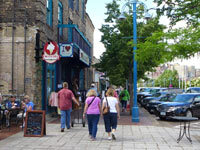 * See our regional tourism and weather report links midway down the page. Some of the earliest Fall Color in Late September around Lake Superior can be found away from the lake south of Ashland, WI and in the western Upper Peninsula east of Ironwood Michigan. 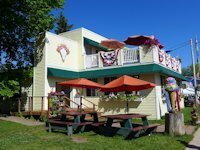 One color trip we've enjoyed in the past and would be a great one this year is a scenic waterfalls color tour in Northern Wisconsin and the western Upper Peninsula. 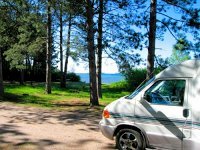 This route takes in Copper Falls State Park, Potato River Falls, the falls along the Black River Harbor Scenic Byway, and the water falls along the Presque Isle River in the western park of Porcupine Mountains State Park. 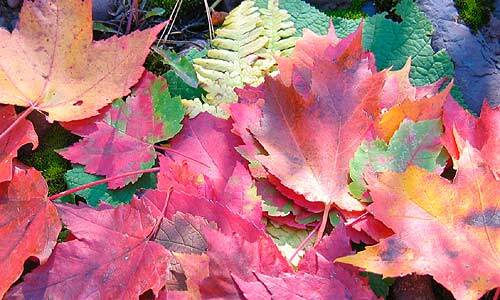 The earliest fall color in the Porkies can be found in the woods and trails that are away from the lake. 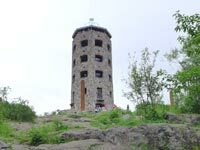 Don't miss the view from the top of Summit Peak and from the Lake of the Clouds Overlook. 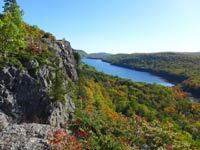 Later in the season the best color is nearer the lake and in lower elevations along some of the hiking trails. 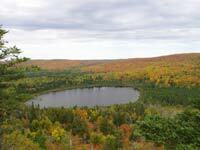 In the Keweenaw Peninsula, peak color generally arrives late September, early October. 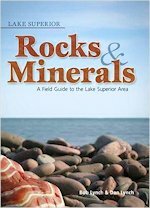 In the central UP a scenic fall drive I'd recommend is the H58 county road between Munising and Grand Marais, Michigan. 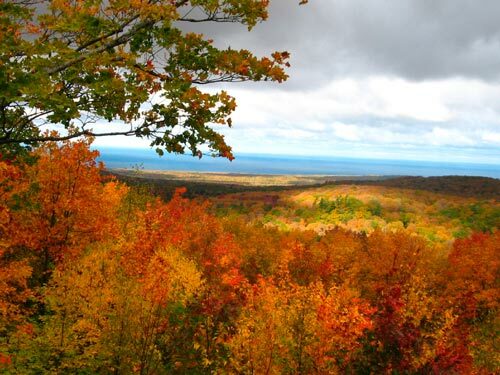 Also you'll find good fall color along the road to Miners Castle in Pictured Rocks National Park. If you take a Pictured Rocks Boat Tour, in addition to the amazing painted rocks you'll get to see some nice leaf color as a backdrop. East of Pictured Rocks, between Newberry and Paradise is Tahquamenon Falls, beautiful any time of the year but especially with fall color as a backdrop. In Minnesota Peak Color arrives in late September away from the lake and into the first week in October near the lake. 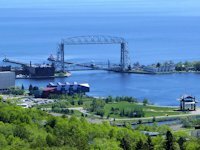 We've found the best fall color along Scenic Highway 61 on Minnesota's North Shore is generally from Silver Bay to Lutsen, with hikes or a gondola ride to tops of mountain peaks giving the best color or a drive inland away from the lake. Some years along the North Shore you get a second season of fall color in October as the birches, aspen, and tamarack turn (always later than Maples, Oaks, and Hickories). In Wisconsin, from Superior near Amnicon Falls to Ashland peak color usually arrives the last week in September and first two weeks in October. Sometimes peak color arrives at the same time as the annual Bayfield Apple Festival (the first weekend in October); other years it is a little later. 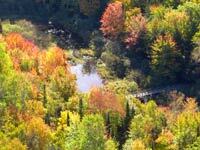 Planning your Fall Color Tour Vacation. For indicators of fall color change possibilities, check our Fall Color Change Report Updates Archives. For example, in 2014, several areas were showing good color by September 23rd; but in 2015 color change was more modest at this time of year. In 2016 & 17 color changed slower than recent years and lasted further into October. Colors breaking out nicely across Northern Wisconsin with the Hurley area reporting peak color change and further west not far behind.. Leaf color change along the Minnesota North Shore is running 50 to 75% along the lake, trending towards 100% away from the lake. Fall color is looking very good in the Western Michigan Upper Peninsula Ironwood to Wakefield (Peak Color) but around 60% elsewhere except the tip of the Keweenaw Peninsula is running about 80% to 100% color change. The recent cooler weather seems to be accelerating what began as a slower than average rate of change the past 10 years. I'd head out this weekend to catch good color practically anywhere. In the Western UP (around Ironwood and Black River Harbor) color change is up to 100% away from the lake. In the Porcupine Mountains is approaching peak along the South Boundary Road. The road to Lake of the Clouds is at Peak Color and the Clouds and Summitt Peak overlooks are showing nice color. In the Keweenaw Peninsula (Houghton to Copper Harbor), Houghton and South of Houghton along Hwy 26 near Twin Lakes are approaching Peak color. Copper Harbor is at 100%. Expect the drive along the lake via Eagle River and Eagle Harbor to be less than 100%. 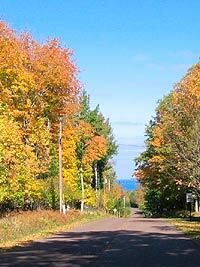 If you go later than this weekend, the drive via US 41 to Copper Harbor will show the best color. The central UP around Pictured Rocks National Park and Tahquamenon Falls is about 60% color change. Hurley is reporting Peak color change. Ashland and Bayfield are approaching Peak. Between Bayfield and Superior, along the lake on Highway 13 it is about 75% and between Ashland and Superior along Highway 2 it is Peak. Around Duluth by Jay Cooke park, it is peak color. Around 75% to 90% color change is showing along Scenic Highway 61 (Minnesota North Shore) with the best color inland on the high ridges away from the lake. From Two Harbors to Cascade River State Park the color change is 75%. From Grand Marais to Judge Magney State Park, color change is between 75 and 100%, with the most change away from the lake. 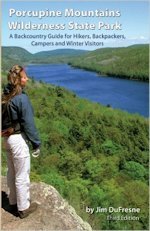 Stop in the visitor center at Tettegouche State Park for color tour maps. This coming weekend, you should see some excellent color riding the Lutsen Mountain Gondola to the top of Moose Mountain. Because most of the hardwoods in the boreal forests of Ontario are Aspen and some birch you don't see much color change around Thunder Bay and north until October. On the eastern end between Sault Sainte Marie and Wawa, where the forest has more variety, expect some good color around the end of September and first week or two of October. A FALL COLOR BONUS - GREAT WATERFALLS. Rainfall in September along the south shore of Lake Superior has been ample which I think means that the leaves will hang on the trees a while. It also means the areas with attractive waterfalls - like Copper Falls State Park, Black River Scenic Byway. Presque Isle River (Porcupine Mountains), and the falls in Pictured Rocks National Park - will be especially attractive with roaring waterfalls and decent fall color and foliage. (See links to these areas near the top of this page). "A growing season with ample moisture that is followed by a rather dry, cool, sunny autumn that is marked by warm days and cool but frostless nights provides the best weather conditions for development of the brightest fall colors," - - - Learn more from this article from the PBS News Hour's website. Outstanding Fall Color Porcupine Mountains Lake of the Clouds scenic overlook. 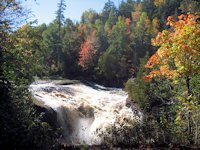 Tahquamenon Falls State Park offers some of the best fall color in the eastern Upper Peninsula.